The respective arrival dates for LINK to Overlake and downtown Redmond are 2023 and 2024. While those dates seem a long way off, construction will impact our commute options almost immediately. 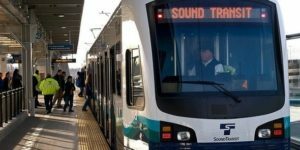 The decisions that will determine our future commute are currently being considered by Sound Transit and the City of Redmond. While the eventual arrival of light rail will benefit all commuters on the Eastside, construction of the East Link Extension is already underway in Bellevue, rerouting traffic and causing the relocation of existing park and ride lots. In particular, the Overlake Transit Center parking lots will close soon. This means that for now it will be more important than ever to utilize GRTMA resources to help ensure yourself a fast and smooth commute. For information on park and ride alternatives see the ST East Link page. The site contains an interactive tool that can help you develop your personal work-arounds. The City of Redmond is currently accepting public input concerning the alignment of Link in downtown Redmond. They are seeking opinions concerning location, whether the track should be at-grade versus elevated, parking options, and other issues. While we are often focused on what impacts us today, we strongly encourage you to take some time to weigh in on your future commute as well.